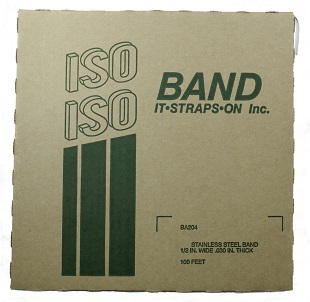 ISO Band #BA204 1/2" x 100' x 0.030", Roll of 201 Stainless Steel Banding / Strapping. 1500 lbs Break Strength. 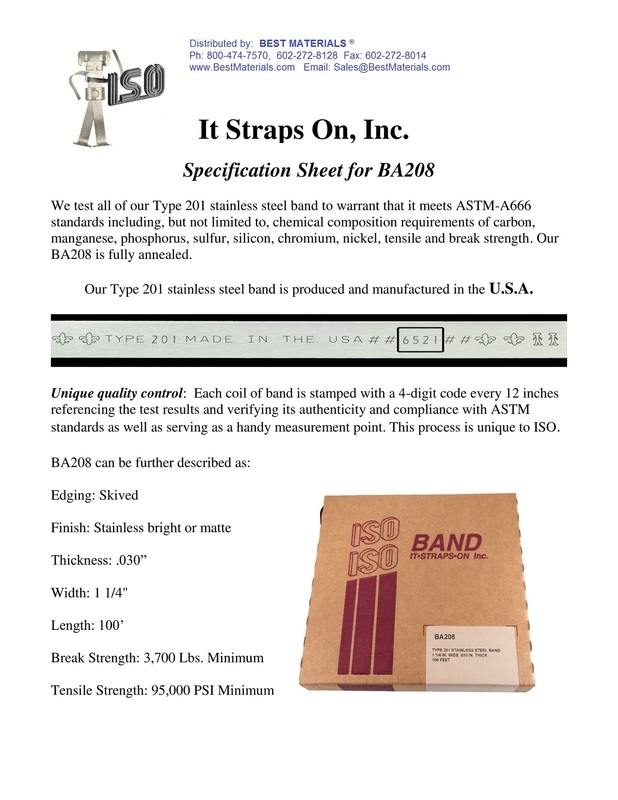 ASTM-A666 Certified. Made in USA. Price/Roll. 1/2 inch 304 Stainless Steel Clip Style Banding Buckles. 100/Box. Price/Box. 1/2 inch 304 Stainless Steel Ear-Lokt Style Banding Buckles. 100/Box. Price/Box. 1/2 inch x 100 ft. x 0.030 inch (0.76mm) Roll 304 Stainless Steel Banding / Strapping, in Blue Plastic Dispenser. Tensile Strength: 1547 lbs. 100 Foot Roll. Price/Roll.